As our homes become smarter, it makes sense that they also get better at protecting us and our families. While security cameras are a great tool for home automation that lets us keep a watch on things, smart smoke alarms and other alerts protect us while we sleep as well. Many home automation devices have been designed with comfort and convenience in mind, but a smart home alarm system can offer so much more. While we want to believe we can protect our families on our own, having the backup of a reliable alarm system is great for peace of mind. 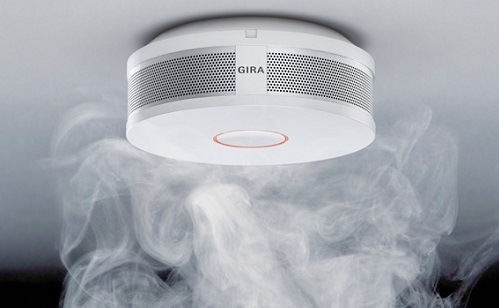 While traditional smoke alarms have proven themselves to be invaluable devices for our home, this new range of smoke, carbon monoxide and fire alarms can often even greater protection. A report issued in 2015 by the National Fire Protection Association stated that each year seven Americans die as a result of home fires, and thousands are injured. Homes without fire alarms are opening themselves up to potential hazards and even fatalities, so they’re an essential part of any house. This new era of smart home smoke alarms offers even greater protection to keep you and your family safe whether you’re home or away. While it is possible to purchase a device that has both a carbon monoxide alarm and a smoke alarm, these often fail in previous times. The new wave of smart alarms has progressed in technology to provide a fairly accurate blend of the two, meaning fewer devices for your home. 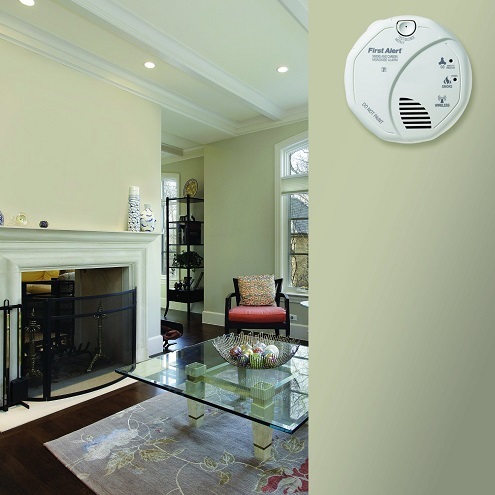 Not only can the smart smoke alarm of modern times detect dangerous smoke and carbon monoxide, but they also have humidity and other sensors built in. This means you’re less likely to receive a false alert from shower steam or cooking as you are with other devices, with the alarm going off with a carbon monoxide sound when there is a real danger. These devices can also detect the difference between smoldering fires or those that are fast burning, and provide you with a range of notifications. If needed, your alarm can contact the authorities so that response time is even less. Most of the protection from fires is needed when we’re at home, causing us to wake up or stop what we’re doing and leave the house when the smoke alarm sound is heard. However, the smart smoke alarm can also notify your smartphone when there’s smoke present so you can keep a close watch on things when you’re not home. 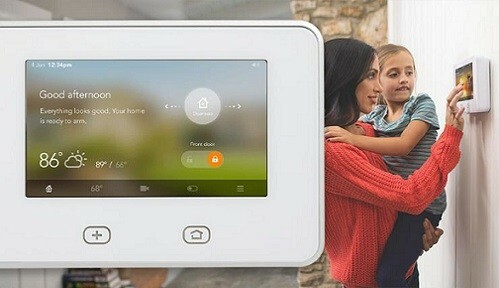 Although smoke and carbon monoxide alarms are two of the most important home automation features, there are also some amazing smart home alarm system devices which offer security. Where once home security systems could costs thousands to install, this new era of home automation has made security alarms even more affordable and convenient. Smart security alarms come in many different forms, with popular systems offering the ability to auto arm and disarm your doors remotely, individual key tag sensors for family members and sensors placed around the home which notifies you of activity. Where this modern age of smart alarms differs from traditional systems is in their ability to alert you when an event happens. Smart home alarm systems can be controlled remotely, allowing you to unlock your front door from work, and you’re sent updates to your smartphone whenever something noteworthy happens. These devices work similar to smoke alarms in that they can contact the police in case of a break-in or attempt, so even when you can’t be there to monitor the action your smart home will take care of things for you. A smart alarm system doesn’t only need to protect you from intruders or fire hazards, but it can alert you to other threats as well. The new era of smart homes can notify you about their health so that your family is kept at their most comfortable and healthiest. With a smart alarm monitoring your home’s health, you’re able to monitor a range of things both inside and outside the house. Sleep – While you sleep, your smart home alarm system can track how well you sleep and adjust the home’s settings in heating or cooling to make it more comfortable. Some alarms can even wake you at the ideal time to prevent grogginess and promote a better sleep schedule. 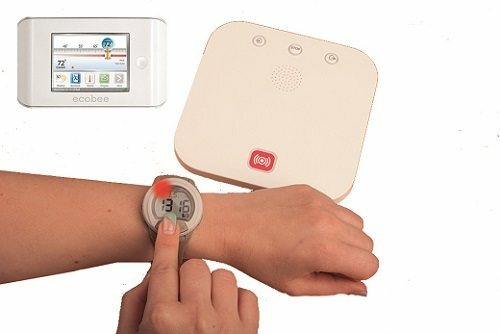 Health – Smart homes can detect levels of pollen, allergens, pollution and other chemicals and notify you when they cause a threat. This is especially ideal for those who suffer from hay fever and asthma. Productivity – Some smart alarms even feature gauges for carbon monoxide and stale air, so you can take the necessary steps to filter you home or clean our air vents when needed. Increased levels of carbon monoxide have been shown to make people lazy and even cause illness, so it’s a handy tool to have. 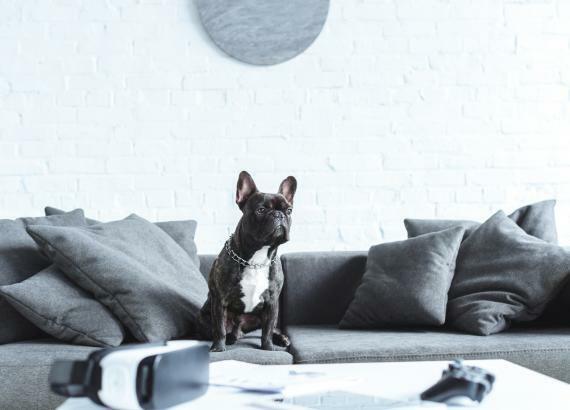 Although it’s great to have the latest home automation devices which offer entertainment and comfort, utilizing these new technologies in alarm systems has many other benefits too. 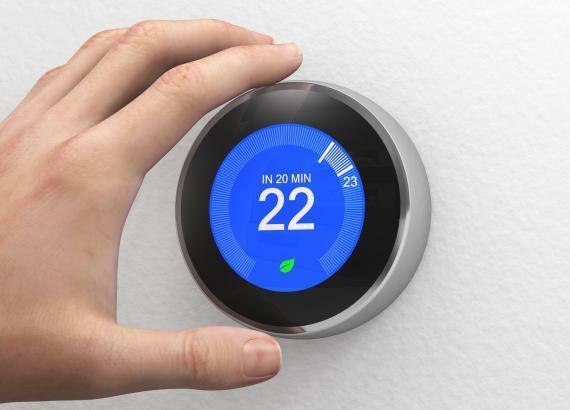 While the smart homes of the future will likely have all of these functions built in, and more, there are some affordable and easy ways to ensure your home is protected. Whether you want to update your traditional smoke alarms to something more intelligent or increase security around your home with a smart home alarm system, there’s a clever way to put these devices to use. A smart home alarm system makes the greatest use of this technology and protects your family from fire, smoke, intruders, allergens, and more. The best part is unless they’re sounding off to signal a problem you won’t even realize they’re quietly taking care of you in the background.